Need to buy or sell a car? 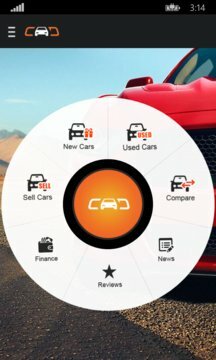 CarDekho Windows App is your most reliable way to buy or sell cars. 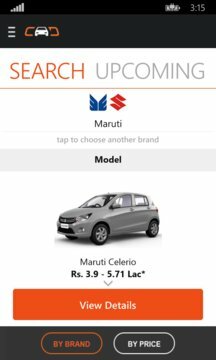 Coming from India’s #1 auto portal, the app makes it so easy for you to find the right car for you to purchase. Whether looking for new or used cars, you’ll find them all here. Search for any brand or model, and you get details like on-road price in your city, dealer details, expert reviews, full specs, pictures and videos! We even help arrange test drives from the dealer nearest to you. For 2nd hand car buyers, we have more than 70,000 used cars listed. So, if you want a used car, find the one that’s right for you by browsing depending on city, price, year, make and model. Want to sell your car? Simply click a picture of your car with your phone and upload it along with details. We’ll get you in contact with the right buyers so you get the best deal. We even verify prospective buyers for you before putting them in touch with you, so that you get only genuine buyers. • New Car Research: Explore all the details including Specs, Pictures, Mileage, etc of any new car in India.